The standard pet crate works well for times when your furry companion needs some along time. These crates just don't look so good. 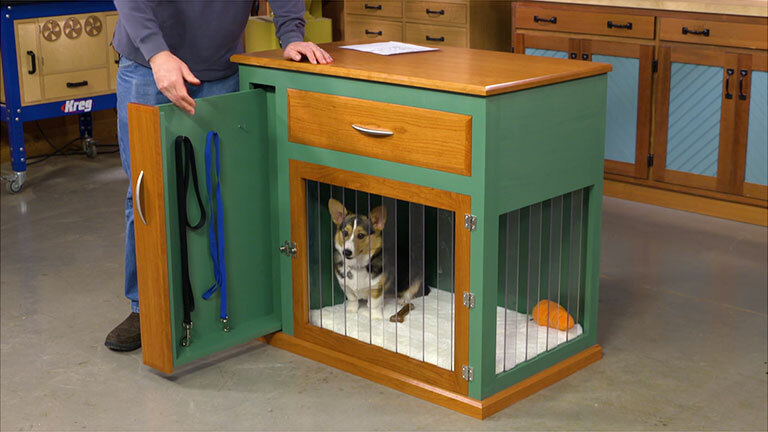 Here's a solution that keeps your pet corralled, provides some storage, and looks good, too. Designer Dennis Volz shares the details of his latest project.